Chinese medicine has proven both scientifically and throughout history to be the absolute most effective form of treatment for Bell’s Palsy. When the right physical, energetic/electrical and emotional factors are addressed, it can be healed rather quickly in most cases. In order understand how we heal on different levels in the body, please see my article The Five Levels of Healing in the Body. Changes in diet, detoxifying the body, acupuncture and consciousness based healing techniques are all very important factors that are critical to address in order to fully heal. The faster this is done once it occurs, the more effective the results will be. Bells palsy or idiopathic facial paralysis is an inflammatory condition affecting the facial nerve and resulting in paralysis on one side of the face (both sides are affected in less than 1% of cases). This paralysis causes one half of the face to droop, especially around the eyes and mouth. Bells palsy affects 40,000 people in the USA per year. What is the cause of Bell’s palsy? On the physical level, the most implicating factor in scientific research is the herpes family of viruses inflaming the facial nerve. While herpes simplex has been implicated, the evidence points in the direction of it being a strain of the shingles virus. From a naturopathic and Chinese medicine perspective, all viruses in this family respond well to similar courses of treatments(1,2). What are the common Western medical ways to treat this condition? Steroids, anti-inflammatory drugs, acyclovir (or other related drugs to treat herpes related viruses), facial massage and physical therapy are the most common ways to treat this condition. However, in many cases these forms of treatment have been proven to be ineffective. The reason for this is because they are not truly dealing with the root cause of the problem. The whole person must be taken into consideration in the treatment of this condition. As we mentioned earlier, to most effectively treatment Bell’s palsy we must address it within each level of the body. On the physical level multiple things must be addressed. Inflammation. Often times, inflammation doesn’t occur all on its own in isolation. Normally, other aspects of inflammation can be exhibited in the body long before this condition affects someone. We first must look to the diet to see where we need to act in order to eliminate things from the body that cause systemic inflammation. Toxins. Viruses in the herpes family feed off of heavy metals and chemicals in the body. Clinically, we use a very comprehensive and gentle way to clean the body of such things over the course of 2-4 months, depending on how toxic the body may be. This is a critical step because it removes a source of food for the shingles virus. If you would like more details about this, please set up a consult with us. Herbs. Many powerful herbs and formulas can be used that work specifically to combat and take out the shingles virus, all with no harmful side effects. We keep them in stock because of how common these viruses are and how many problems they cause and how they are implicated in so many other health conditions and diseases. While the physical aspects of dealing with Bell’s palsy are critical to address if you want to heal, acupuncture is known to be the most powerful thing that can treat this condition. Acupuncture deals with healing in the 2nd level of the body. Acupuncture is backed by iron clad science. Qi is not some mystical substance in the body. The acupuncture system is an electrical system. Acupuncture points are found mostly along connective tissue divides. Connective tissue is piezo-electric in that it is a fantastic conductor and also generator of electricity. The nervous system uses this same energy to communicate with the body. 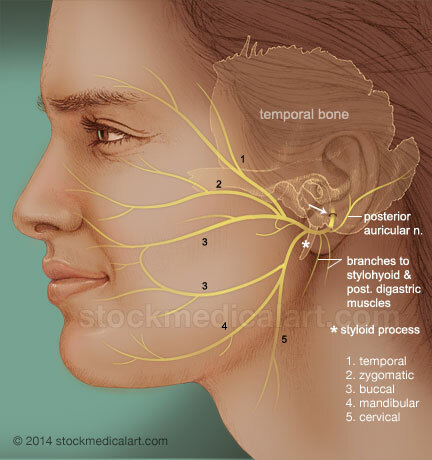 For Bell’s palsy, acupoints exist in the face that run right along the facial nerve. When these points are stimulated, more oxygen (which can kill viruses), powerful brain chemicals, fresh blood and electricity can more freely flow to these parts of the body, which promote profound healing. Other acupuncture points can be stimulated to promote healing to the whole body, which is often necessary in this process as well. So many people have reported fantastic results healing from Bell’s palsy when everything else had failed. In Chinese medicine, healing negative emotions have long been the most important part of the medicine. When you balance the Shen (mind) in Chinese medicine, the rest of the body can heal itself. The mind, in the hierarchy of levels in the body, controls the acupuncture system and the physical body, which is why it is the most powerful thing that can help someone heal. Just like every other health problem that the body can have, very particular emotional patterns exist that need healing for someone with Bell’s palsy. This is by far the most difficult aspect of the medicine for people to grasp. Many are confused to even think that a state of emotion could possibly cause or contribute to a condition like this. We have been so conditioned by Western medicine to think that everything has a physical cause and treatment. But this is changing, and people are seeing the wisdom that has been a part of Chinese medicine for millennia. Below you will find the most common themes. Some may apply to you, some may not. I just encourage you to be open to the possibility. The traditional way that the Chinese helped people to heal negative emotions was through meditation. Now, more modern consciousness based healing tools are being used successfully to help people create awareness around the real issues and help to release them from the body. These are the most powerful tools for using the mind to heal the physical body. When they are let go of, the body can heal. Chinese medicine has always had a complete system of medicine that treats the whole person physically, electrically and emotionally. When you combine all these things together your chances of naturally healing from Bell’s Palsy can be quick and effective. Addressing inflammation, diet, toxins and using herbs are very important. Acupuncture is perhaps the most powerful ally in healing. Looking at your emotional state prior to infection is also very critical. If you don’t have an acupuncturist near you, I offer phone consultations and all the detoxification and herbs can be sent directly to you. Phone consultations are just as effective in my experience. Call Dr. Scott at 407-255-0314 to make your appointment now or visit the clinic in the Orlando/Altamonte Springs area. 1Linder, T., W. Bossart, et al. (2005). “Bell’s Palsy and Herpes Simplex Virus: Fact or Mystery?” Otology & Neurotology 26(1): 109-113. 2Ramos, A., I. de Miguel, et al. (2003). “Bell’s palsy and Epstein-Barr virus infection.” International Congress Series 1240: 655-656.